If you don't have diabetes, you likely know someone who does have it -- and you may even be at risk of developing the condition later in life. This is because diabetes is serious health concern that has become more common with the passage of time. When the Center for Disease Control started tracking the illness in 1958, they found that only one percent, or 500,000, people in the U.S. had been diagnosed with diabetes. By 2015, that percentage had risen to 9.4 percent of the U.S. population; a number which includes 30.2 million adults in addition to children affected by early development of the condition. We already know that modifiable factors, such as eating habits, exercise and physical fitness, can affect the risks of developing diabetes. Conversely, there are risk factors, such as genetics, age and race, which cannot be changed. We're learning more each year about how certain factors either raise or decrease the risks of developing diabetes. Now, a new study has revealed that one's mindset also plays a part. Can a Positive Attitude Affect Diabetes Risk? Research has suggested that diabetes and depression are closely related. People who frequently experience the symptoms of depression are also more prone to develop incident-related diabetes. Individuals who report frequent feelings of cynicism or hostility have also been found to have a higher risk of developing diabetes. Additionally, studies revealed that these same emotions may also cause post-menopausal women to experience more severe metabolic syndrome symptoms. While these previous studies examined the negative effects of emotions on physical health, a new study sought to evaluate how positive emotions affected diabetes. 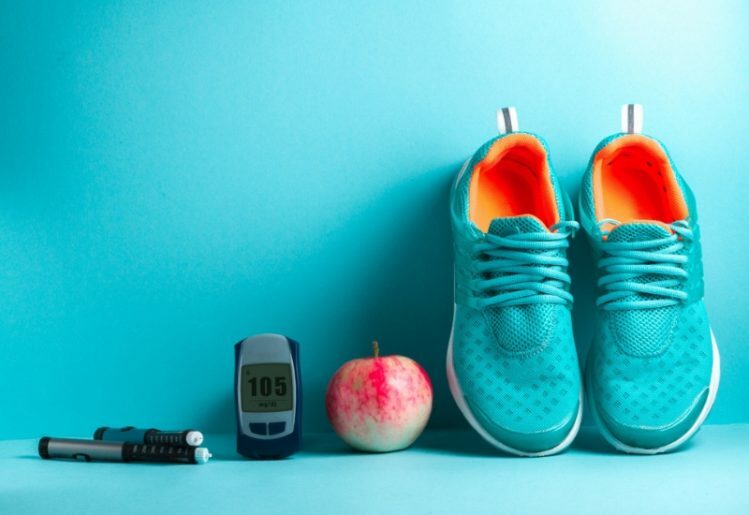 Researchers gathered data from the WHI (Women's Health Initiative) in an effort to evaluate how strong positive emotions affected blood sugar levels in post-menopausal individuals. Juhua Luo, Ph.D., out of Bloomington's Indiana University, was the senior author of the paper, which was recently published in Menopause magazine. Dr. Luo and his team examined records for 139,924 subjects. The earliest records for these women indicated that each subject was post-menopausal and had not yet been diagnosed with diabetes. The study followed these subjects through clinical check-ups across a 14-year time span. By the end of the study, research showed that 19,240 of the women developed type 2 diabetes. Going further, the research team separated the women by personality traits. In doing so, they found that women with a more optimistic mindset were 12 percent less likely to develop type 2 diabetes. Women with more negative emotions were found to have 9 percent greater risk of developing the illness, while those women shown to possess the most hostile emotions had a 17 percent higher risk of developing diabetes. The only factor that mitigated this increased risk was obesity: Overweight women were less affected by hostility and negative emotions when it came to diabetes risk. This research also suggested that women who experience hostility and negative emotions throughout their lives may still reduce their risk of developing diabetes. By seeking out mental health treatment for frequent negative emotions, not only can women reduce their risks of diabetes, they can also improve their overall mindset. The bottom line: If you really want to lower your diabetes risk, it's necessary to make changes in your life now. 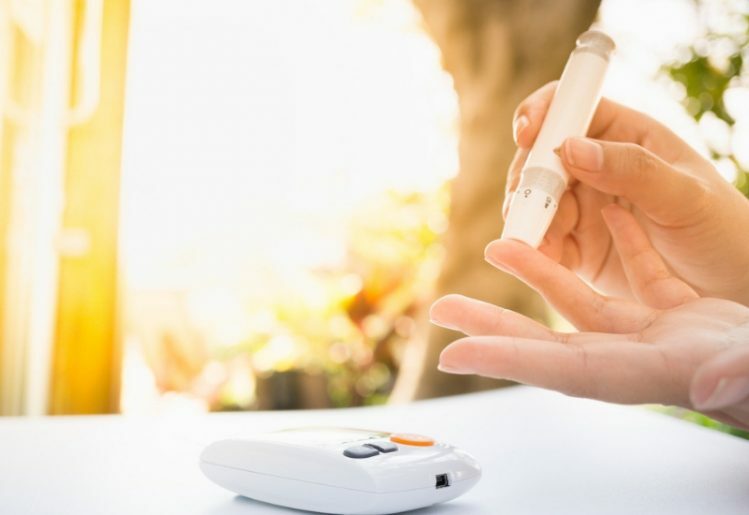 While people are often born with type 1 diabetes, a condition in which your body isn't making insulin, type 2 diabetes, a condition that involves your cells' inability to properly process the insulin, develops over time and its development is often influenced by lifestyle choices. Just as poor lifestyle habits can promote the onset of type 2 diabetes, healthier choices can help control or prevent the condition. The first step to take is to change your diet. Diabetes concerns your body's inability to process sugar or glucose, so limiting your sugar intake is essential. In addition to the obvious sugary foods and beverages, you should also limit or eliminate your intake of refined carbs. Once ingested, refined carbs are broken down into sugars and stored for use, which causes a spike in blood sugar levels. Additionally, you should be getting a sufficient level of exercise each day. Doctors recommend a minimum of moderate to high-intensity exercise in 30-minute daily intervals. The physical activity will increase insulin sensitivityin your body's cells, making it easier for you to process glucose. While 30 minutes is recommended, getting more exercise will only help your body become more sensitive to insulin. You might also consider taking a daily supplement to help maintain healthy blood sugar levels already within normal ranges. If you choose to add a supplement to your daily routine, look for one that provides ingredients such as chromium picolinate, vanadium and fenugreek. Before making any lifestyle changes, it's important to discuss your concerns with your doctor. He may have more recommendations for you that directly relate to your situation. Even when developing type 2 diabetes is not avoidable, making these lifestyle changes can help you live better with the condition.